March energy was focused on compassion. As you nurture yourself into a strong flow, you have a wellspring of Love to flow into the world. Compassion is a catalyst that nurtures change. The Ascension process is about a deeper flow of Love that shifts the trajectory of evolution into a more cohesive collective through empowered individuals connecting. Areon is fond of calling humanity a “connected collective” so we foster a stronger understanding of our connected nature. This is what helps us begin to focus on the vast engine of creation that is the subtle realm. We begin with a mental understanding, but we evolve through the courage of emotional flow. We communicate with the subtle realm via our subtle bridge – our thoughts and emotions. We then communicate with the physical realm with action (or inaction). Compassion is a powerful subtle communication to observe in yourself. You may have felt more excitement and joy available in March. Perhaps you noticed issues of judgment coming up for clearing in March. Or both. With release comes activation and vice versa. In this Year of Amplification, we are being called to more clarity so that the flow of Love is genuinely changing the human experience. This flow has always been there, but we are in a time of evolution that offers a great change and the pace feels more rapid as the spiraling intensifies. The spiral represents strength building, change continuing. March energies of Clear Compassion offered an opportunity for less enabling and more empowerment. That is a beautiful change. This clarity brings us to a greater creative power, which is what April will be amplifying. With power comes responsibility. As we evolve into fourth density, we are connecting more, which is the energy of the subtle realm, the invisible connection. We are becoming more cohesive in all we do (more heart/mind unity as mentioned in the April video above), and therefore less compartmentalized. Mental understanding is important, and it is the first step of shift. You recognize the need for change, the potential of change, and the path of change. But it is your emotions that complete the circuit. Compassion is a powerful connection that brings potential into action. Areon says often that your first action is your inner action. Your self-observance and your self-nurturance are key to the clarity which shows you the Creative Action that serves your moment. Creativity is a powerful and necessary flow in life, and it comes in many forms. Creativity can be an uncomfortable state. It is always a risk, it’s something new. That doesn’t have to be a bad thing, but it may not always be an easy thing. Sometimes Creative Action is the catalyst that stirs a need for change, or it stirs some chaos that seeks its resolution. Chaos for the sake of chaos is just destructive. But chaos can be constructive also. 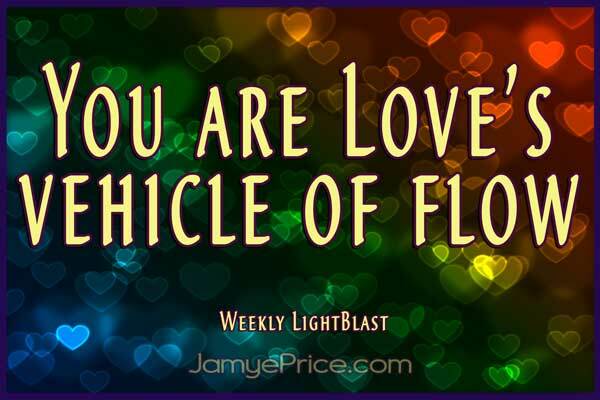 As a Lightworker, your work is to amplify the loving potential. Creative Action is the experiencing of life – the participation that anchors your subtle energy into the physical realm. Are you willing to participate with the joyful experiences and the information that may not be as easy? Lightwork anchors love where it didn’t have roots before. It takes courage to root deeper so there is a strength that can sustain reaching higher. The Creative Action of April is about beginning to see everything as creative. Are you honoring the potentials within the moment? Are you willing to connect all parts of your life so that everything has creative potential? Are you willing to participate fully in something to build a future of change? In essence, this energy is about recognizing the thread of creativity in all that you are experiencing. The benefit of this? You release feeling powerless in situations and flow more of your energy into it. It becomes less about controlling outcomes and more about enjoying your journey. The recent marches in the United States that were spurred by teenagers may not result in immediate or perfect external changes, but there is a momentum of energy building that offers us an opportunity to focus on the positive potentials or the lack. The example of what they are flowing into the world has a bold potential. 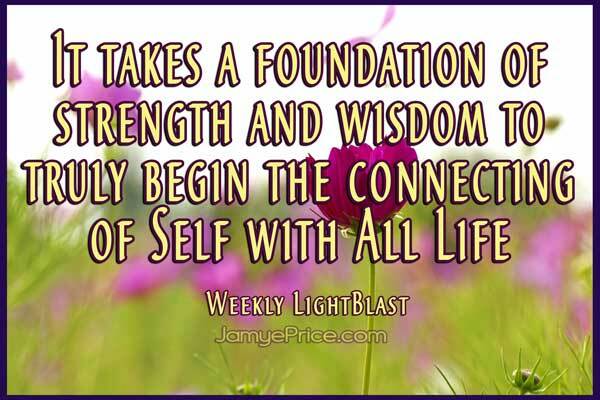 What are you Lightworking toward? Focus your powerful subtle energy there. Let the momentum build and take inspired actions that support your journey of change. Woohoo! April will be inspiring change. Creation is the potential that resides within you – life birthing through you. Ascension is the inner work of changing your resonance so that Love is your natural flow compelling change—love that is strong enough to say yes or no, regardless of the comfort level. That is empowered love that roots change so humanity blossoms anew. Thank you for your compassion to elevate humanity. Happy April!